Spicy Rice is a very popular recipe. 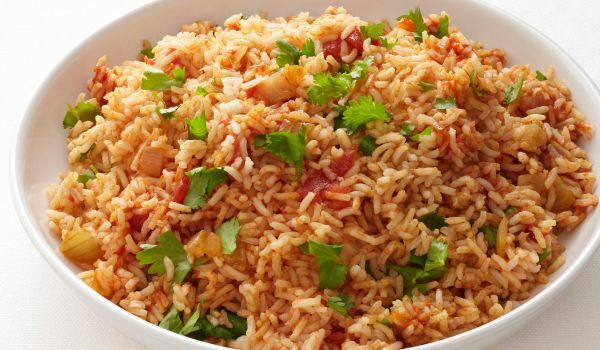 Learn how to make/prepare Spicy Rice by following this easy recipe. Heat oil in a pressure cooker and fry cardamom, cinnamon, clove, and cumin seed. When cumin seeds start crackling, add in ginger-garlic paste. Mix well and cook. Stir in onion and tomato. Heat well. Add rice and cook for few minutes. Stir in coconut milk and flavor with salt. Put in ghee and cook covered for 10 minutes. Serve hot with onion raita and papad.